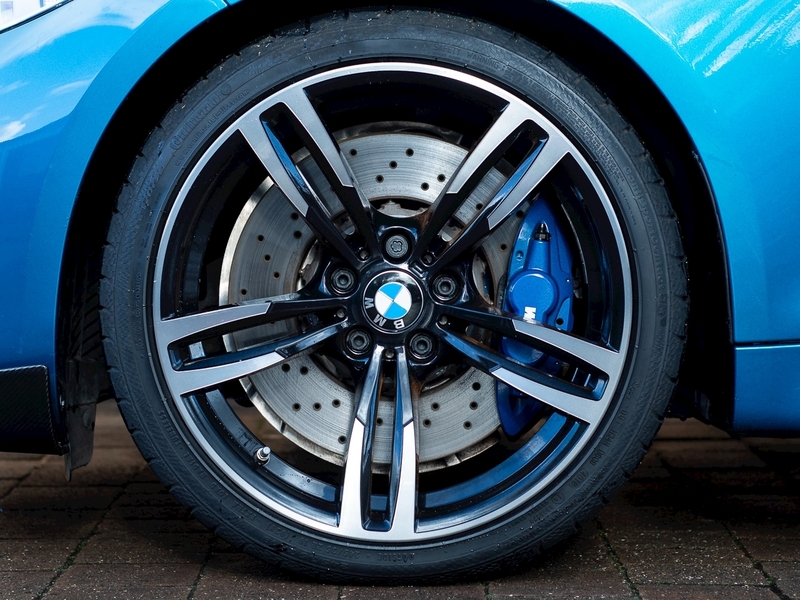 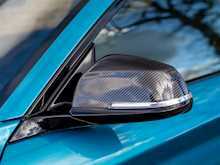 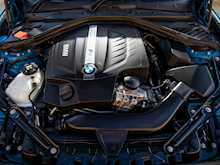 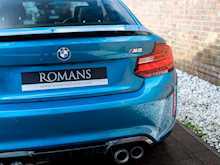 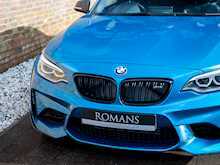 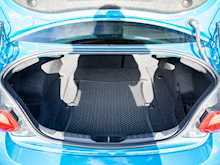 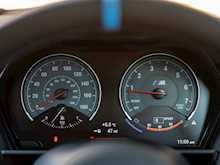 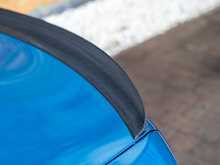 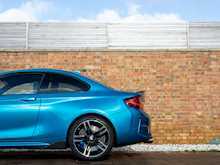 After the success that BMW found with its small performance-oriented cars such as the 1M, 140i and the 235i they knew the appetite was there for fast M-Division versions of the more compact cars in their line-up. 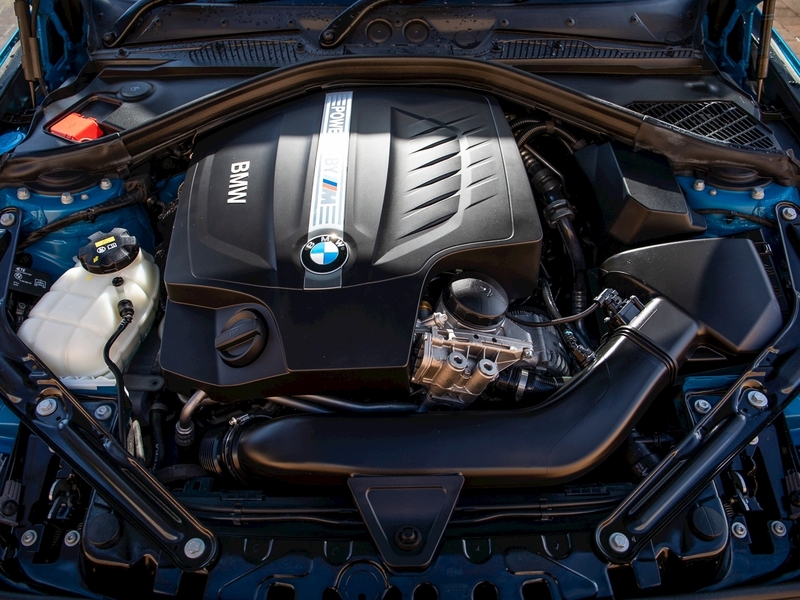 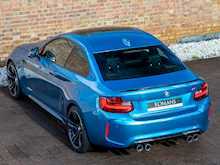 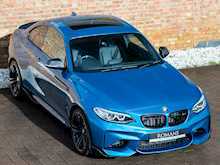 The time was right for a fully-fledged fire breathing version of the 2-Series which bridged the gap in terms of size, performance and price between the 1M and the M4 models, and so the M2 was born. 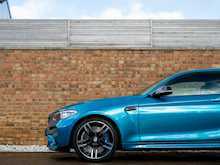 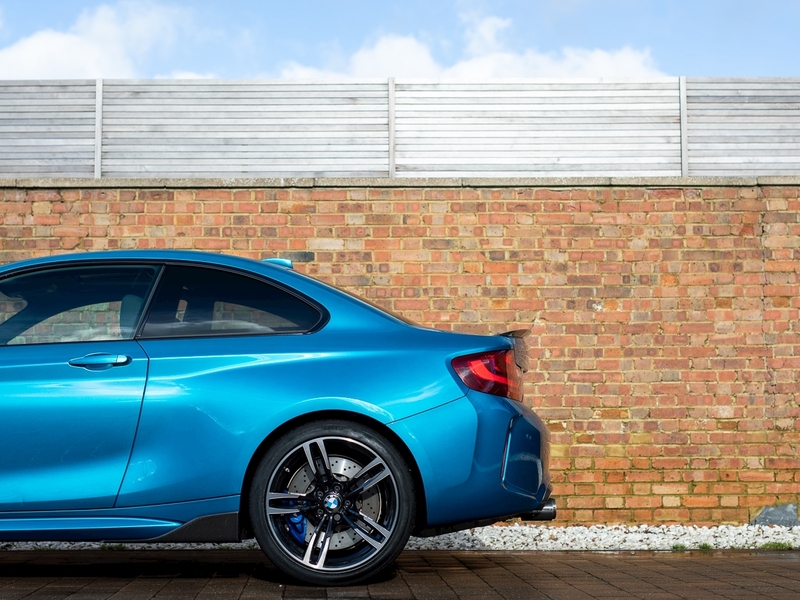 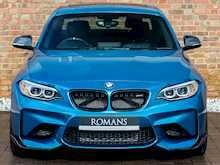 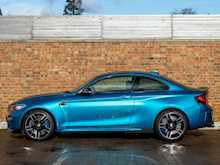 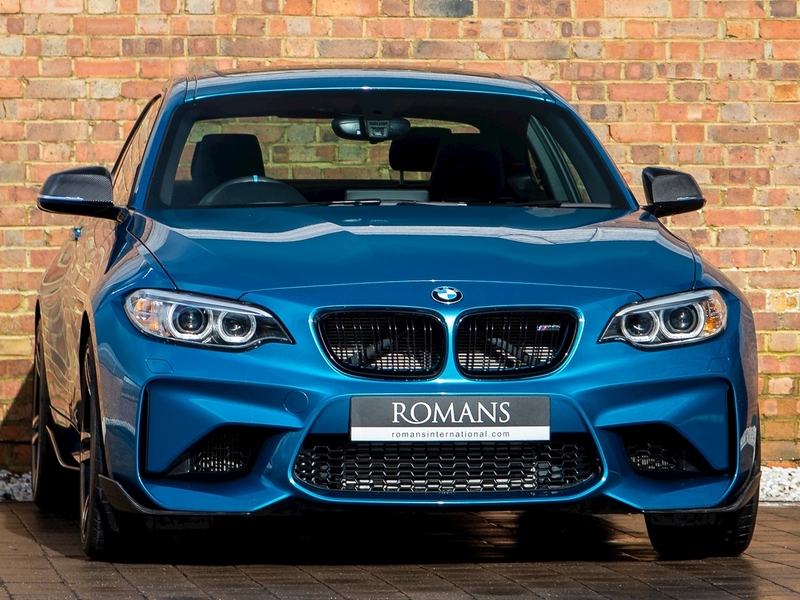 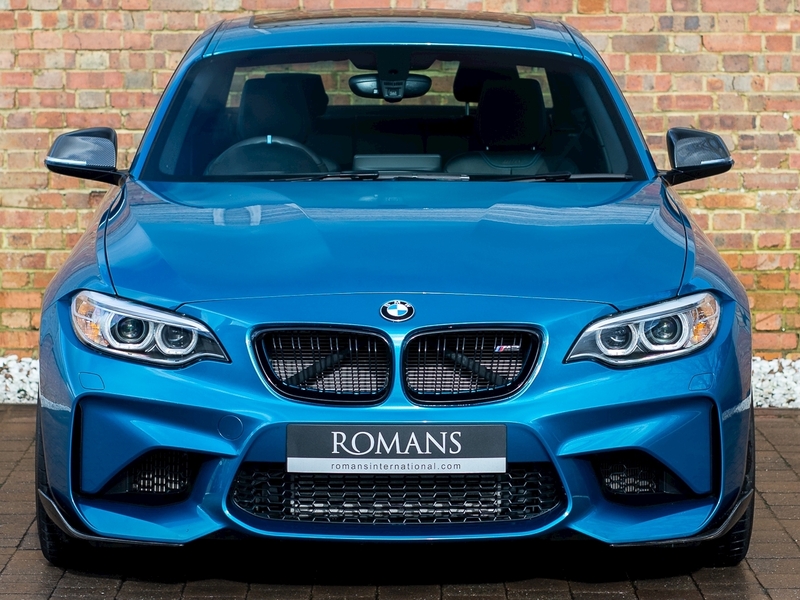 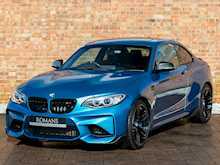 The M2 has seen widespread approval and adoration in the motoring community due to its aggressive styling, agile handling and its amply torquey engine. 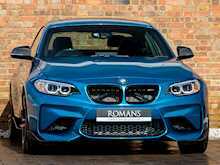 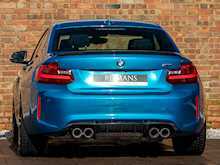 Based on the 2-series chassis the track has been widened and suspension components borrowed from it’s bigger brothers the M3 and M4, delivering a menacing stance with supreme handling pedigree. 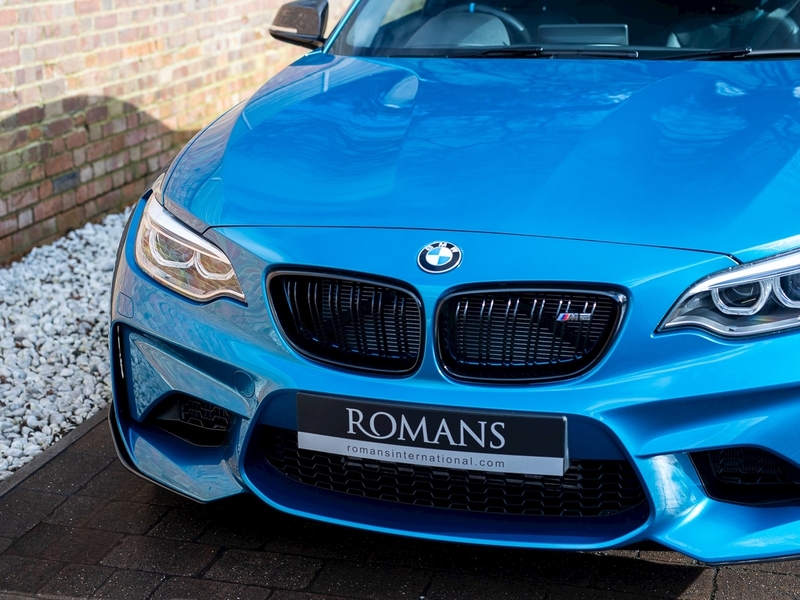 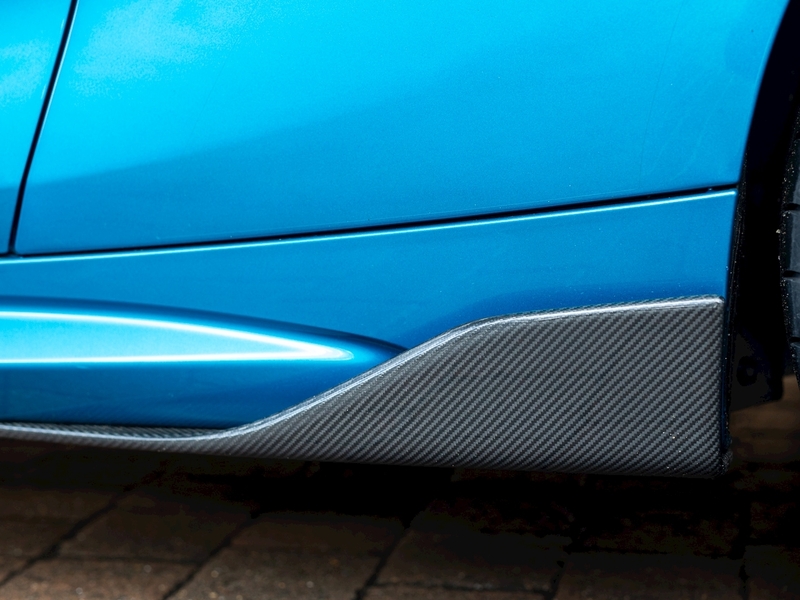 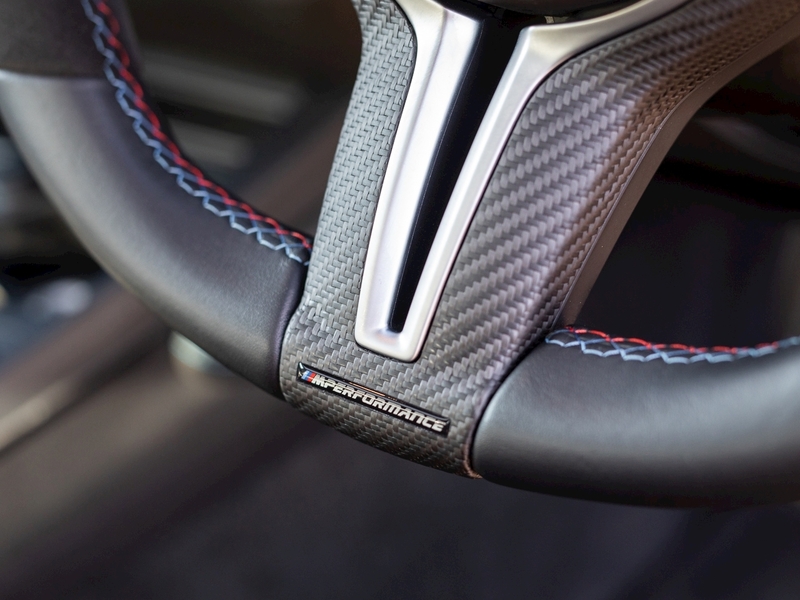 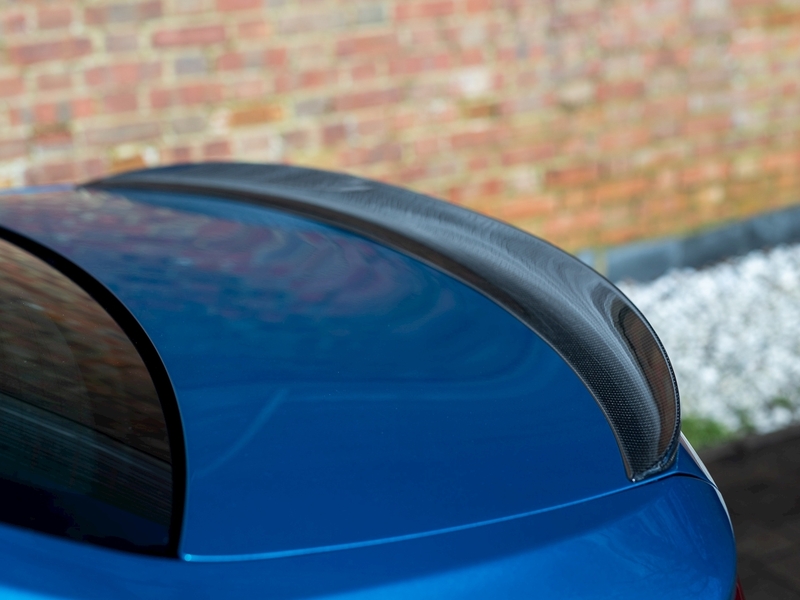 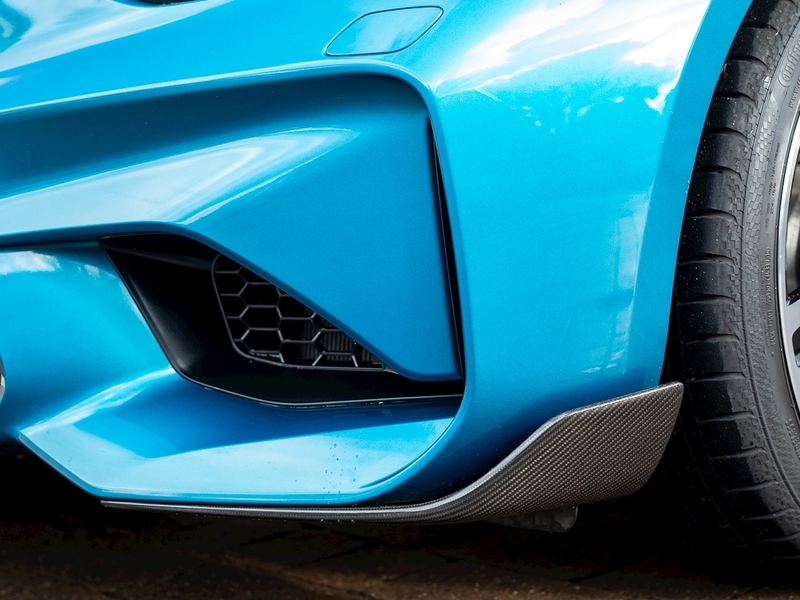 The body has power bulges, muscular lines and aerodynamic flicks wherever you look especially when specified with the Carbon Fibre M Performance Kit which gives those extra finishing details. 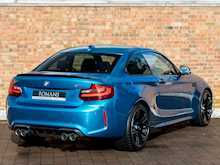 The turbocharged straight-six engine delivers an ample 365bhp and a bruising 369lb/ft of torque coming in at just 1450rpm, meaning your always in the sweet spot! 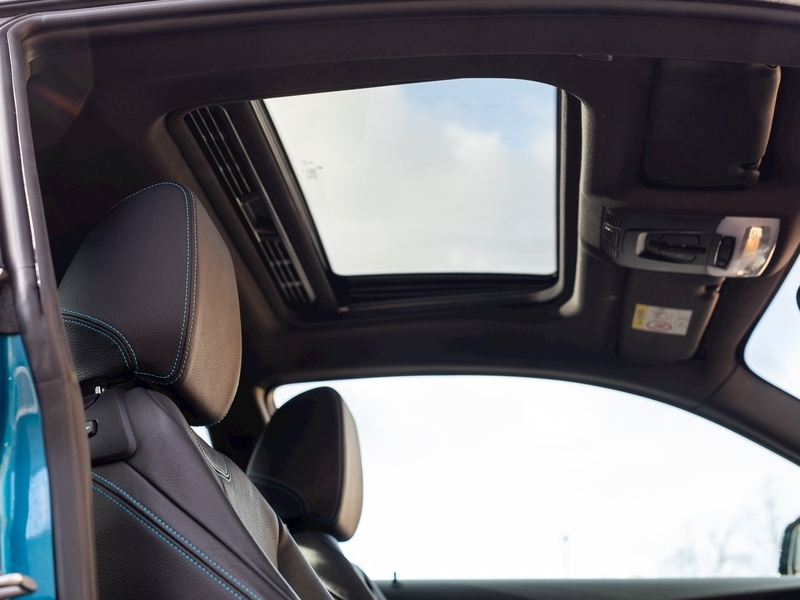 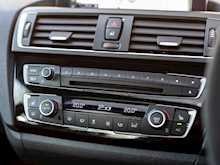 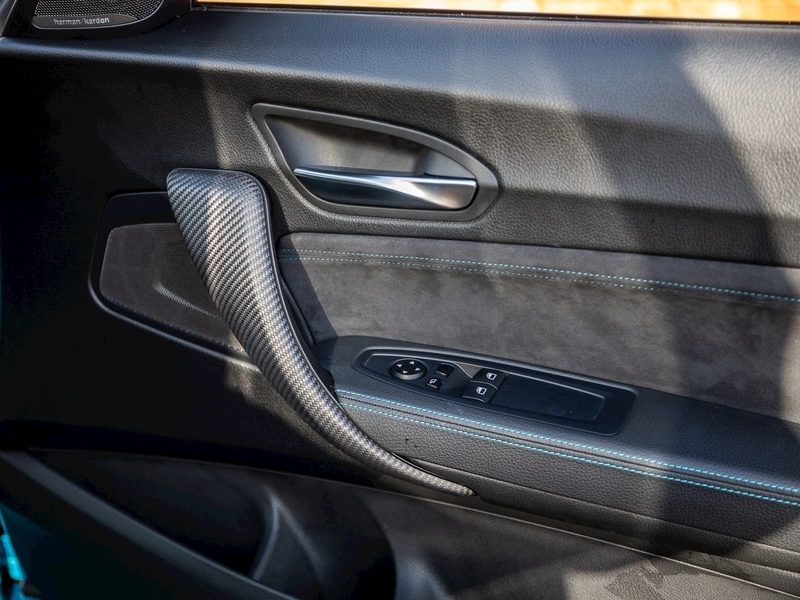 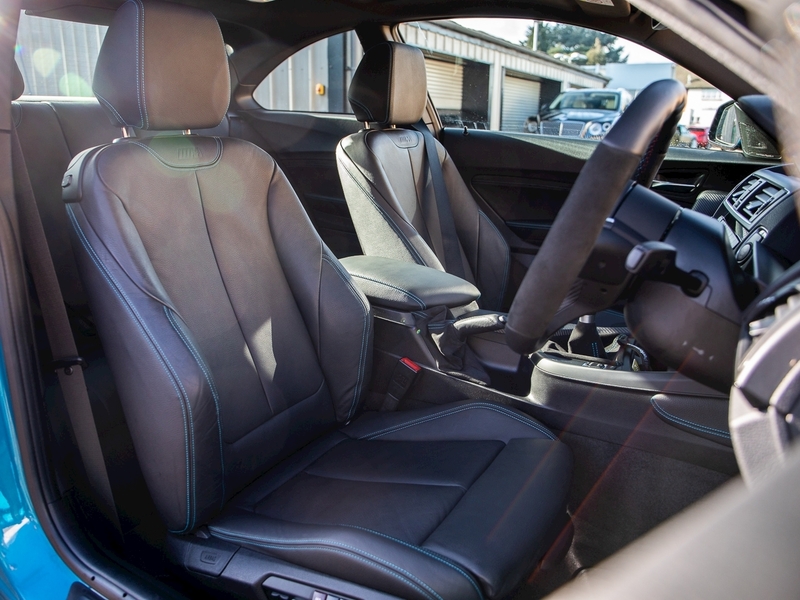 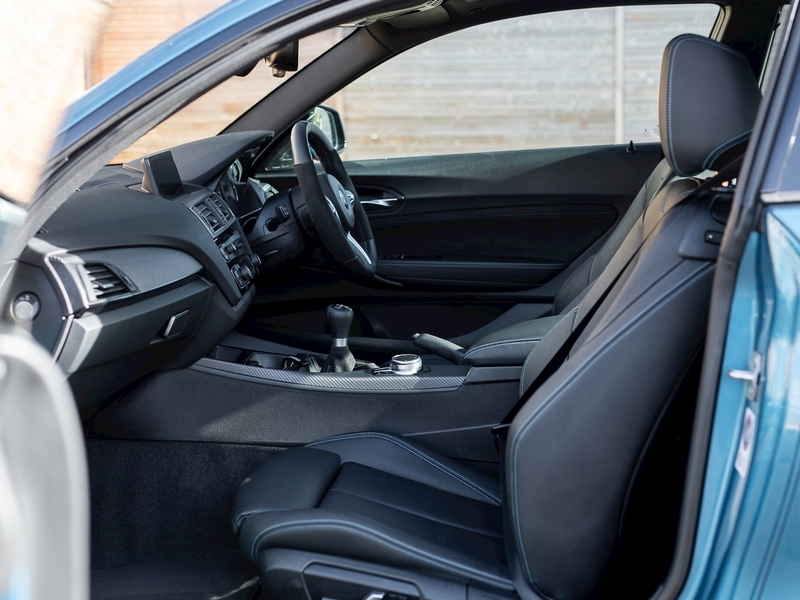 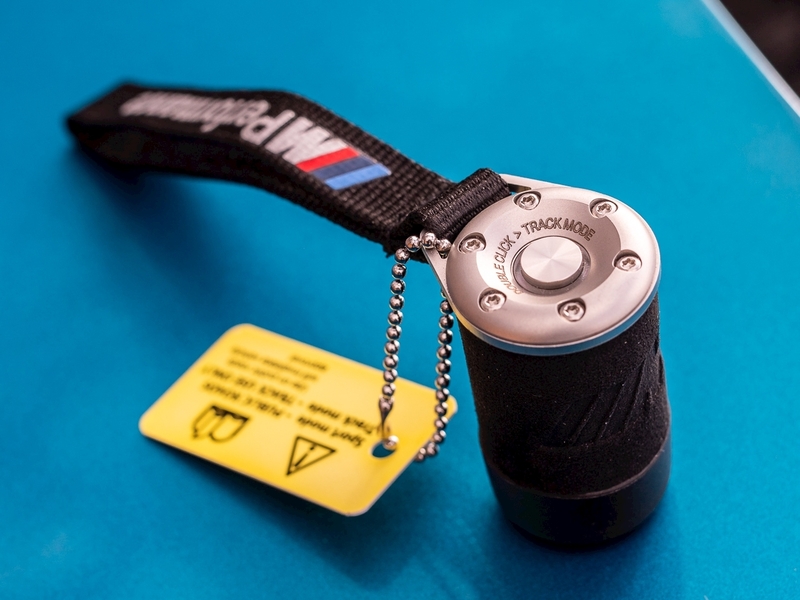 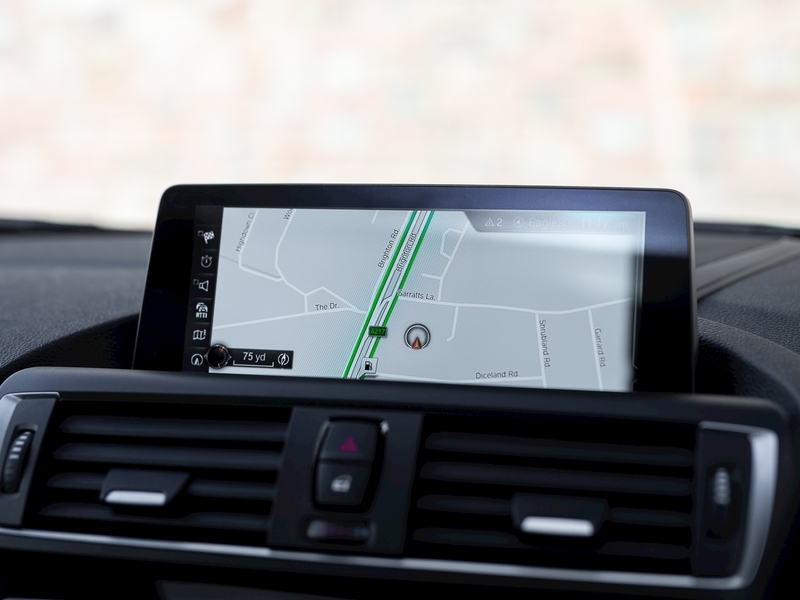 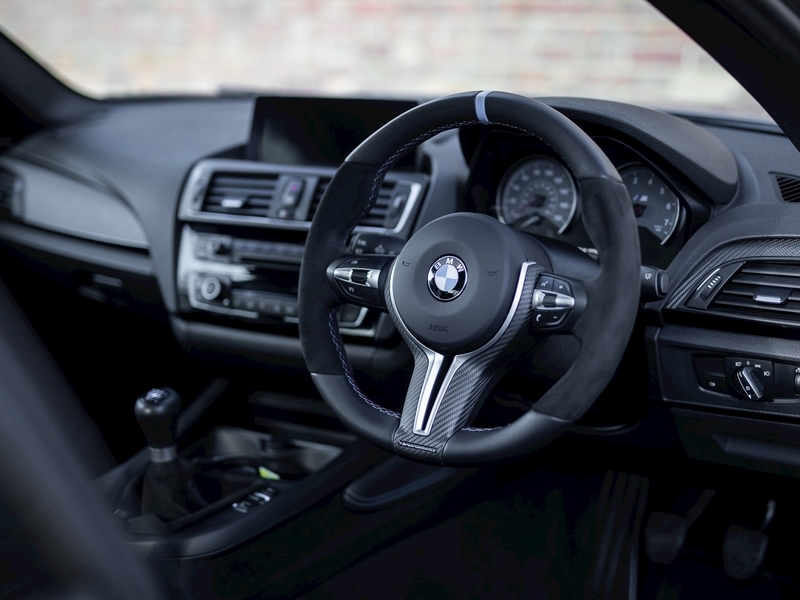 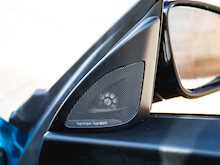 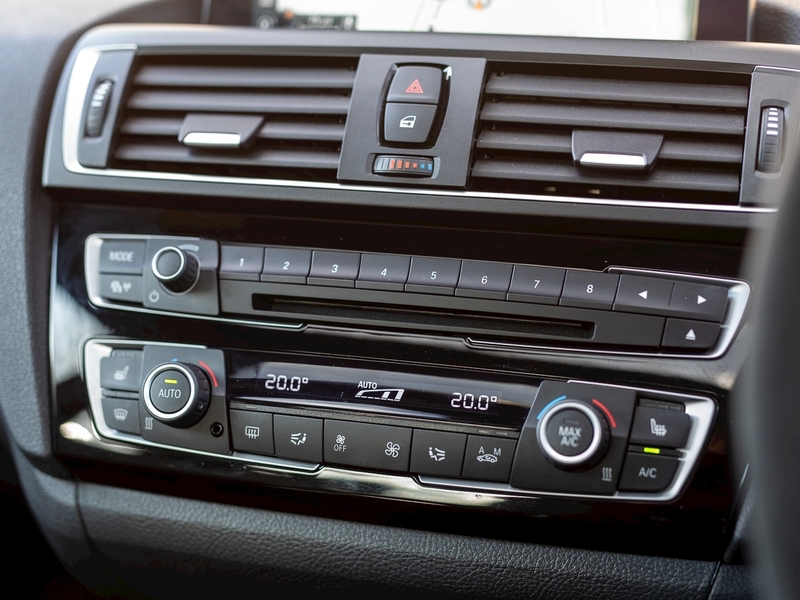 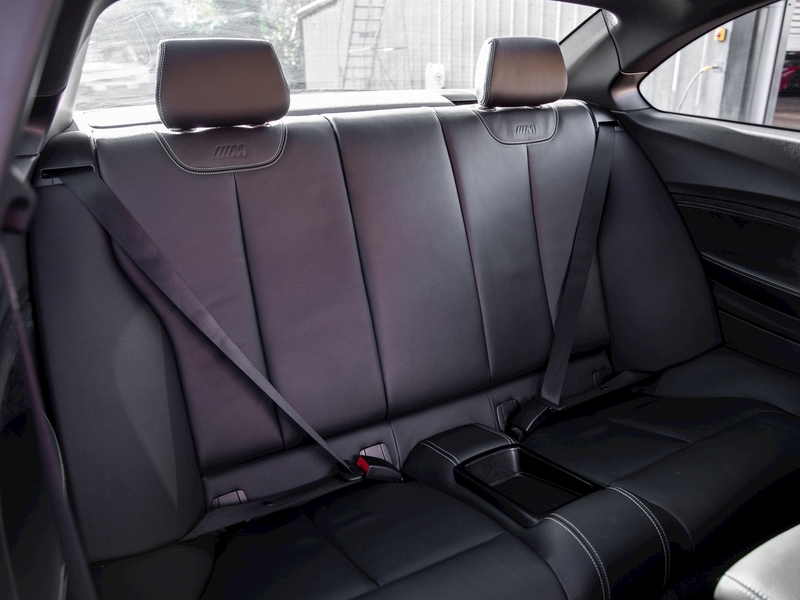 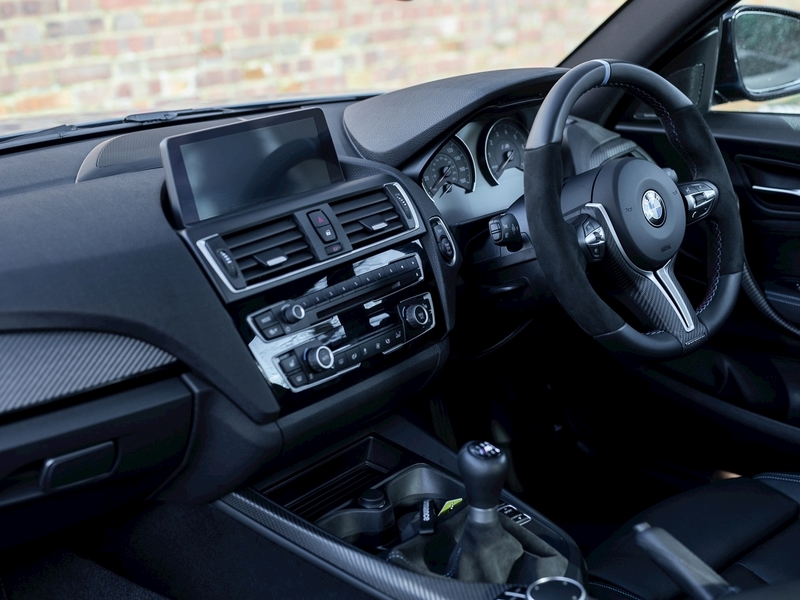 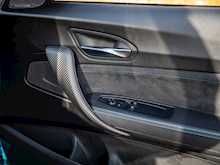 The interior is pure BMW, with a host of driver convenience systems, a fantastically engaged driving position and quality materials used throughout all adorned with the obligatory “M” Badges. 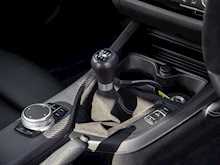 The notchy short-throw six-speed gearbox is refreshing to find as standard and really adds to driver enjoyment when used with or without the auto rev matching feature on downshifts. 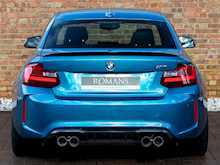 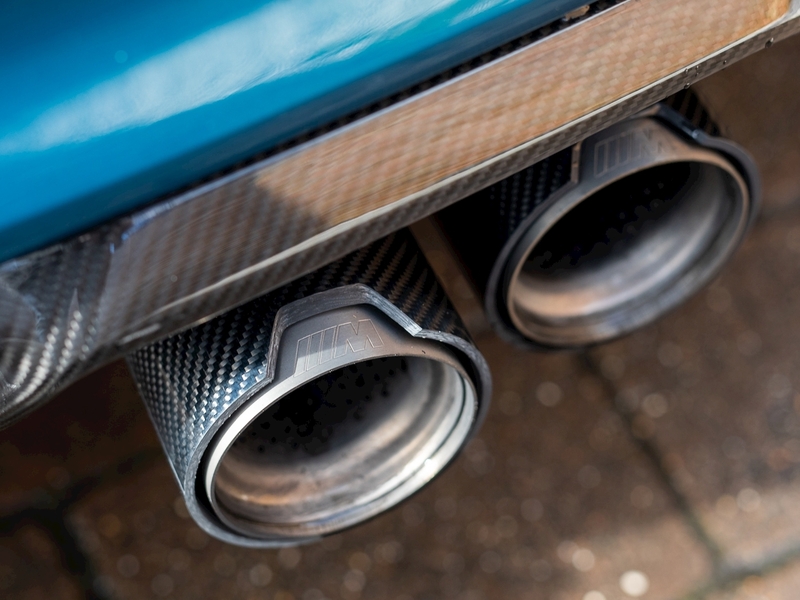 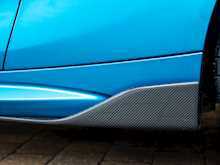 The party piece of this car however has to be the exhaust note, especially when fitted with the M Performance switchable exhaust system. A double click on the ‘detonator’ style remote switch and the noise, crackles and pops which erupt from the exhaust are nothing short of spectacular! 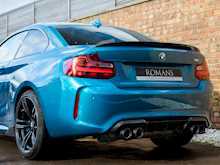 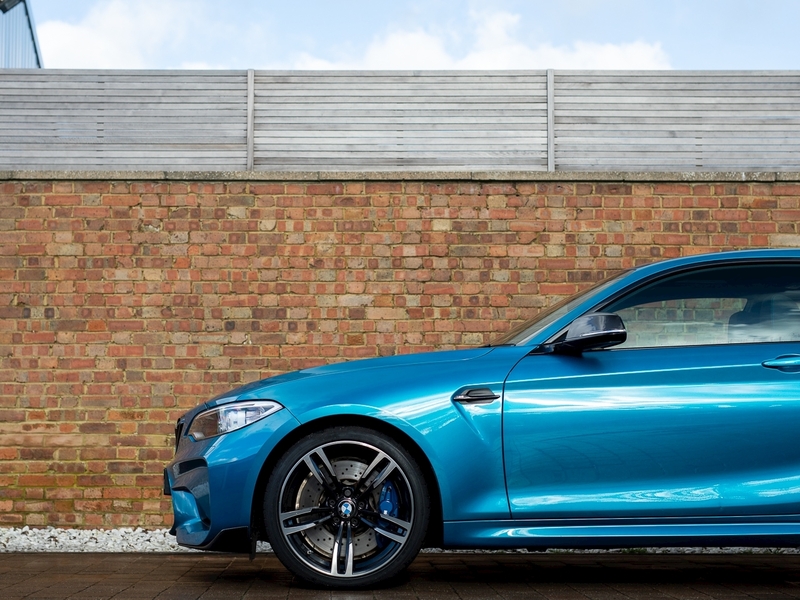 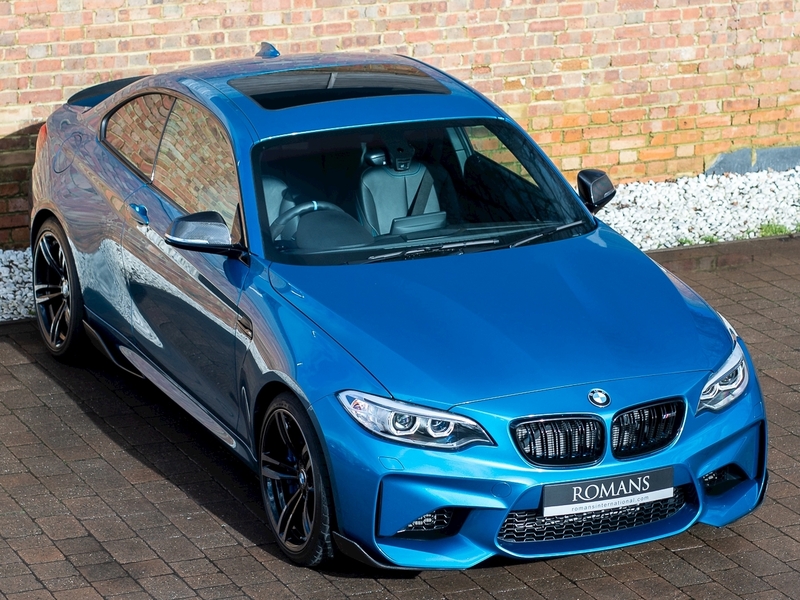 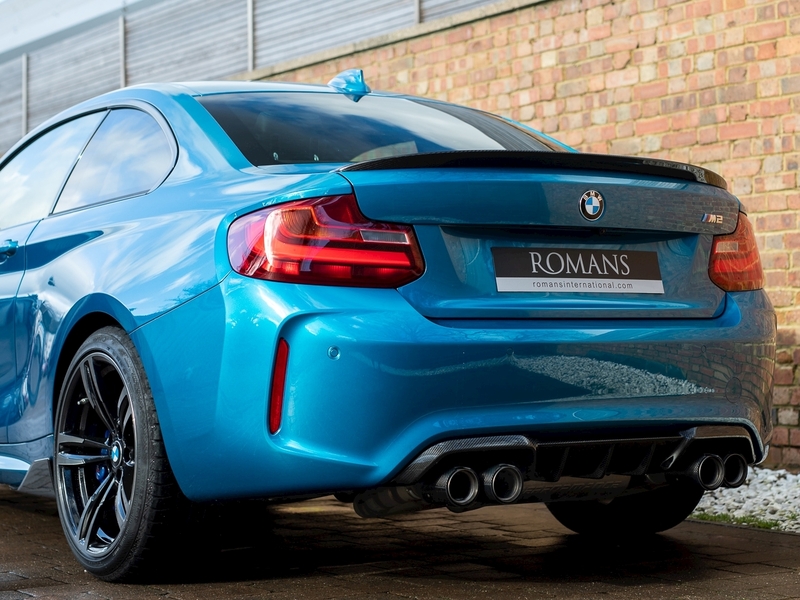 Overall the M2 offers fantastic value for money and is more comparable to the Porsche Cayman than it is to the RS3 or A45, and there’s no higher praise than that!